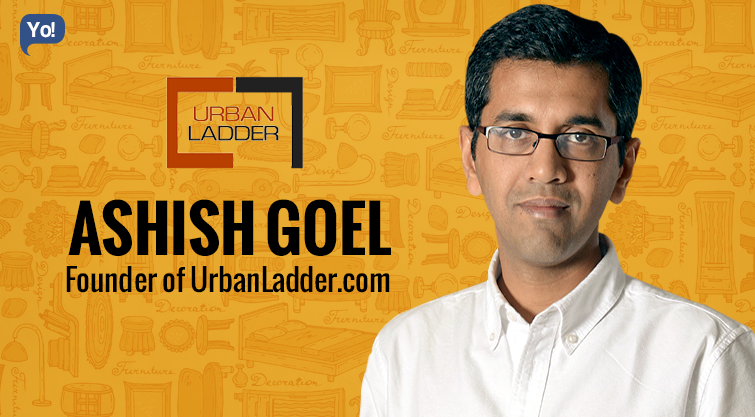 Inspiring Success Story of Ashish Goel - Founder of UrbanLadder.com – The online furniture store! There was once a time when internet was a place to surf or socialize, but in the last 10 years, we have seen a drastic transformation or should we say boom in the Internet Industry. The time has changed so much that, for every need of yours you go online now, from a pin to a plane, there is nothing which cannot be found online. 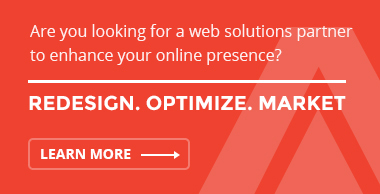 And to top that, everyday there are new websites coming up to compete with the rest – to create their story! 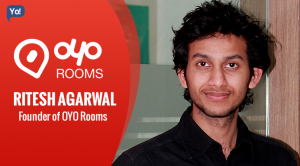 Such was the story of Ashish Goel or Ashgo (as friends call him) who Co-founded his online furniture venture – Urbanladder.com, in an attempt to solve a huge pain-point for the masses! As most of you already know; Urban Ladder is an online marketplace for unique & innovative yet less expensive furniture and home decor products. 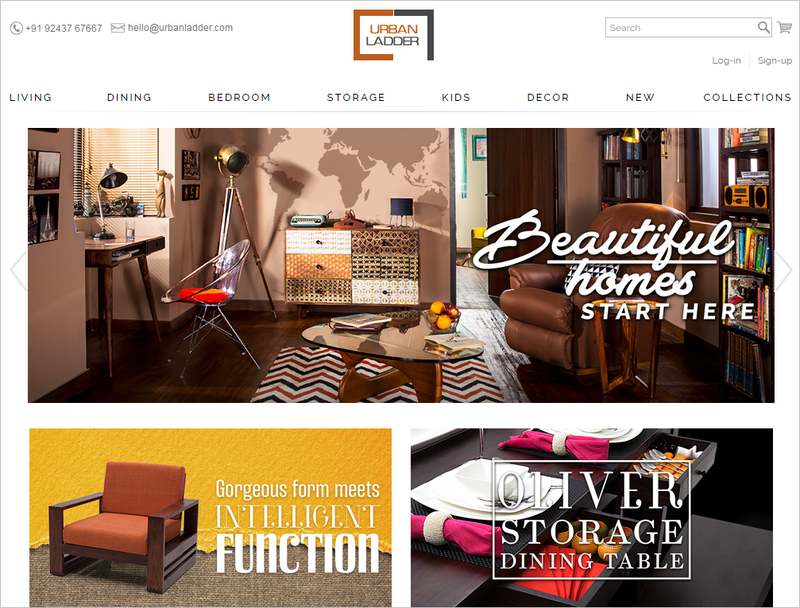 Urban Ladder offers more than 30 categories of furniture’s which include beds, sofas, dining and coffee tables, etc. and also has a range of over 400 product to choose from. The delivery and installation of all their products is dealt by Urban Ladder itself. Today, Urban Ladder has its presence in more than 12 cities across India and is also in plans to expand to almost 30 cities by 2016. The IIM (Bangalore) & IIT (Bombay); from the days of his employment to climbing up the Urban Ladder, Ashish has been through various thick & thins to reach where he is today, but has done so in the most unconventional manner. Just like many other successful entrepreneurs; Ashish too, did not come from a very wealthy family and whatever he owned was all built and earned by himself. 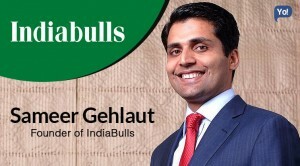 He began his career while he was still pursuing his MBA from IIM-B! This still remains a lesser known fact that, he had worked for Procter & Gamble as a Summer Intern in 2003. This being an internship thing, it didn’t last for long and ended within the same year. His career in reality started after he completed his MBA in 2004. 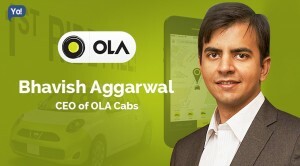 Ashish began working for McKinsey & Company as an Engagement Manager. His job profile included providing Strategy consulting to the top Indian and global corporates and also leading project teams across Banking, Healthcare and Real Estate clients. After gaining experience with them for more than 4 years, Ashish decided to move on to better prospects. Now at the end of his stint with McKinsey, Ashish had made up his mind to start something of his own, preferably something in the lingerie space. However, his friend Samir Patil had recently acquired Amar Chitra Katha (ACK) media – an entertainment and education company for young audiences, along with some investors and had requested him to help them out. 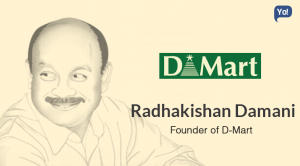 The company owns brands such as Amar Chitra Katha, Tinkle and Karadi Tales. Hence, like a true friend he went on board with ACK as their COO and worked with them for almost 4 years. Now while working with them, he also was responsible for the successful acquisition of India Book House in 2010. It was India’s leading distributor of books and magazines. 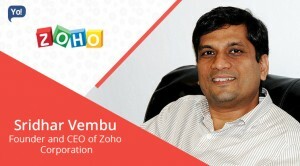 Soon he also moved in as their new Managing Director, wherein his primary objective was to revolutionize the access of media products in India, and create a motivational force in this space. 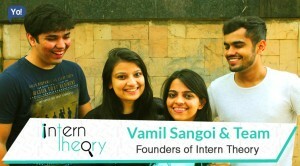 Collectively, he worked with them for almost 4 years, after which he decided to pursue his dream of entrepreneurship. 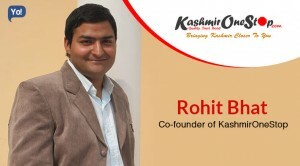 Soon he joined forces with his decade-old friend and college mate Rajeev Srivatsa to start-up his venture. With a working experience of more than 13 years with companies like Yahoo, Cognizant Technology Solutions, Infosys Technologies Ltd; Rajeev indeed was a very intelligent man, and together, they were a perfect match for the venture. Both of them sat down to brainstorm over, all the potential ideas they could start a venture on, but the real thing came from a very personal pain-point of theirs. When Ashish and Rajeev had moved to Bangalore, both their houses were devoid of any kind of furniture due to scarcity of trusted furniture brands, online or offline. During the same time, they had bought new apartments next to each other and faced the most horrifying experience of their life in buying furniture for their houses and ended up sleeping on the floor for 14-15 months. When they researched more, they figured that, in a market estimated at $15 billion in India alone, there wasn’t a single player who was valued for more than $100 million. This clearly pointed out the gap in the society. This was a life-time opportunity with a large market of potential customers and zeroed down on furniture. 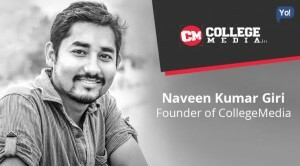 And finally after raising funds worth USD $1 million from Kalaari Capital in May 2012, they launched their first ever venture in July 2012, Urbanladder.com! Now during their initial stages, their team was a very small group of effective people, all of whom came from references from friends and family. They started off on a trial basis, with a basic web site and used to offer roughly 40 products chosen from their supplier’s catalogue, with designs or styles that couldn’t be found. Most of their offerings were designed in-house and were manufactured in Rajasthan. They knew that good quality furniture at reasonable prices and dependable customer service were some of the most important things that would help them succeed, and that’s what they aimed at. They major utilized the funds that they had raised to scale the operations, strengthen the team, build the customer service infrastructure and invest in technology. They made sure nothing came in their way to serve good quality & service, and to maintain that they also purchased almost 80% of the furniture. Along with that they also took care of the supply chain end-to-end. But at the same time they knew what they were doing and didn’t hastily jump to get everything. Hence, they had started by selling small sets of products at lower price points, and gradually increased their SKU’s. 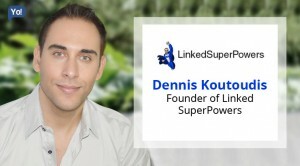 But beyond that, their secret sauce to success was – Marketing!!! Their target market was a typical online shopper, who had made a purchase of a lifestyle product at least twice a month in the past. This strategy worked well for them and their first-month sales were five times the projected number. As much as lack of competition got them business, but at the same time it brought many hurdles too, and the major difficulty that they faced was lack of trust. It was not only because they were new, but also because the audience was also new to buying furniture online. Playing the game very smartly & patiently; they eventually overcame those hurdles as well, with the right kind of products, quality & service. Now while facing these issues they also realized that, it is better to take one thing at a time and hence, they downsized from serving nationwide to serve only Bangalore, Delhi & Mumbai. But this didn’t stop their growth by even a bit; in fact, they were now clocking thousands of customers monthly and had crossed a 100k visitor mark in February, 2013. Their growth rate now was at an all-time high of 10-15% MoM (Month-on-Month). To steadily maintain their growth, they made marketing an essential part of their priority list. Their strategy was to keep it interactive, engaging and highly visual, mainly on mediums like Facebook, followed by display ads with high-end publishers. Doing so, they were now coming in direct competition with all the big offline & online players such as Home Town, Lifestyle Home Centre, Godrej Interio, Fab India, Style Spa, DLF Pure, Evok (Hindware), Pepper Fry, Fab Furnish and Zensaar. 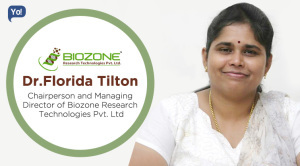 Now that they were clocking revenues worth $1 Million, they decided to expand their reach to Chennai & Pune as well. Soon, they also expanded their furniture category to over 1,000 products across 25 categories and also changed their model to a curated marketplace, with simple intentions of bringing larger brands on their platform. And just when their competitors were about to prepare themselves for the battle, Urban Ladder launched an app called – ‘Urban Storage’ on Android and iOS, along with a Web version for Mac and Windows users. From there onwards there was no looking back for them! And now after months when we look at them, they have widely expanded their range to cities like Ahmedabad, Bangalore, Chandigarh, Delhi, Gurgaon, Noida, Greater Hyderabad, Jaipur, Kochi, Kolkata, & Mumbai of the many others, and are successfully providing them the best quality & service. 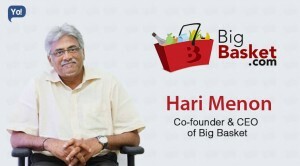 The only motto that has kept them going upwards is – Honesty, transparency & Customer Obsession. The company is now growing @ 50-60% every month, with an average ticket cost of Rs. 15,000 per order which is the highest in e-commerce in India. Additionally, they now have a team of around 600 people and would also be adding another 1,400 employees to its workforce to beef up their rapid expansion plan. What has added more to their credibility is that, Ratan Tata himself has invested an undisclosed amount in the group. This investment is more like a goodwill gesture from Mr. Tata and not a funding round. It happened when Ashish had met him for the first time and believes that, this investment was not about “quest for funds,” and that he would want to have a shareholder like Mr. Tata, funds or no funds. 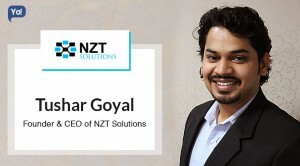 Other than that; the company so far has received a total investment of $77 Million from investors including – Sequoia Capital, Kalaari Capital, SAIF Partners, Steadview Capital, TR Capital, and Indo-US Venture Partners. These rounds include funding worth $50 Million (2015), $21 Million (2014), $5 Million (2013) and $1 Million (2012).